Few Seats Left. Register NOW. FREE RETREAT. 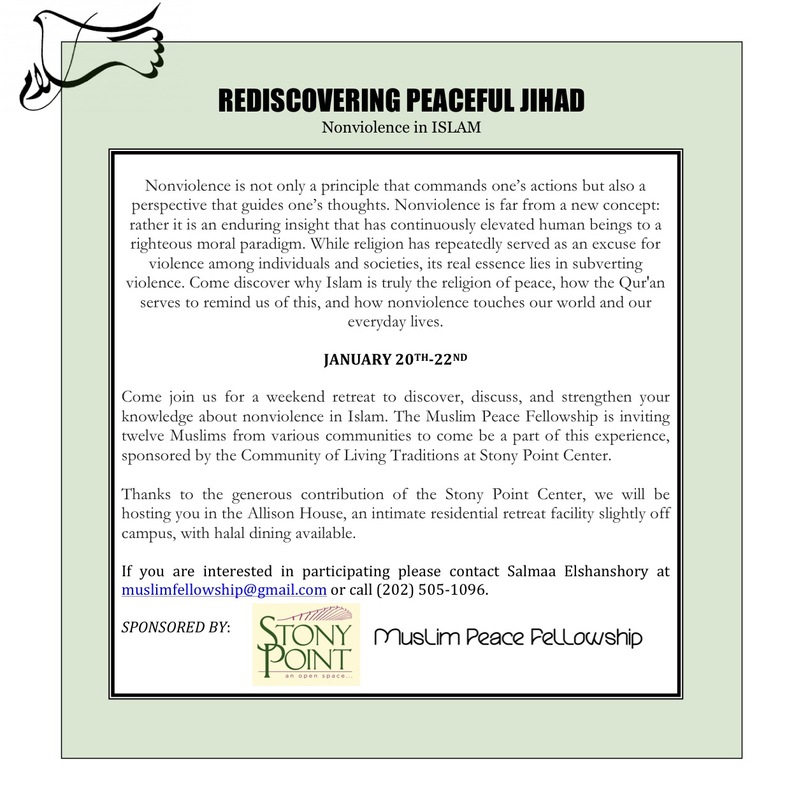 Join the Community of Living Traditions and the Muslim Peace Fellowship January 20-22, 2012 for a retreat on Rediscovering Peaceful Jihad.